Between 2012 and 2016, the planet's artificially lit outdoor area grew by more than 2% per year. Scientists say a "loss of night" in many countries is having negative consequences for "flora, fauna, and human well-being". Their study used data from a Nasa satellite radiometer - a device designed specifically to measure the brightness of night-time light. It showed that changes in brightness over time varied greatly by country. Some of the world's "brightest nations", such as the US and Spain, remained the same. Most nations in South America, Africa and Asia grew brighter. Only a few countries showed a decrease in brightness, such as Yemen and Syria - both experiencing warfare. 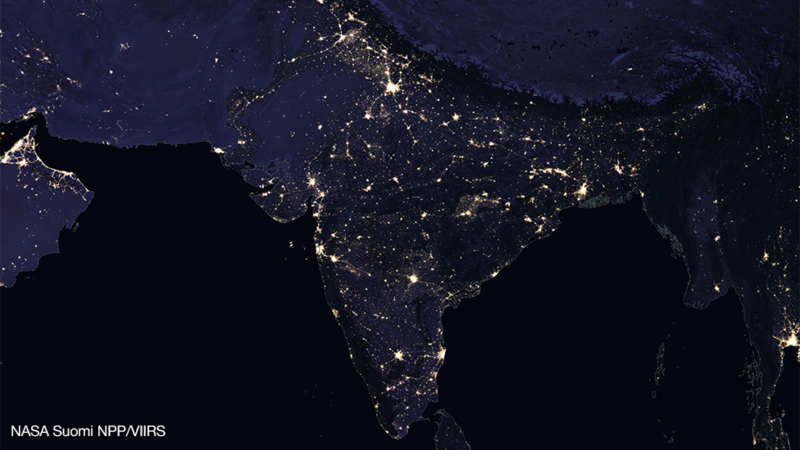 The nocturnal satellite images - of glowing coastlines and spider-like city networks - look quite beautiful but artificial lighting has unintended consequences for human health and the environment. 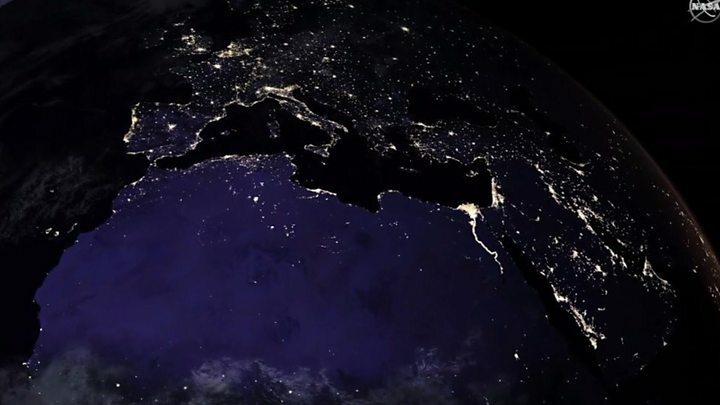 Lead researcher Christopher Kyba from the German Research Centre for Geoscience in Potsdam said that the introduction of artificial light was "one of the most dramatic physical changes human beings have made to our environment". 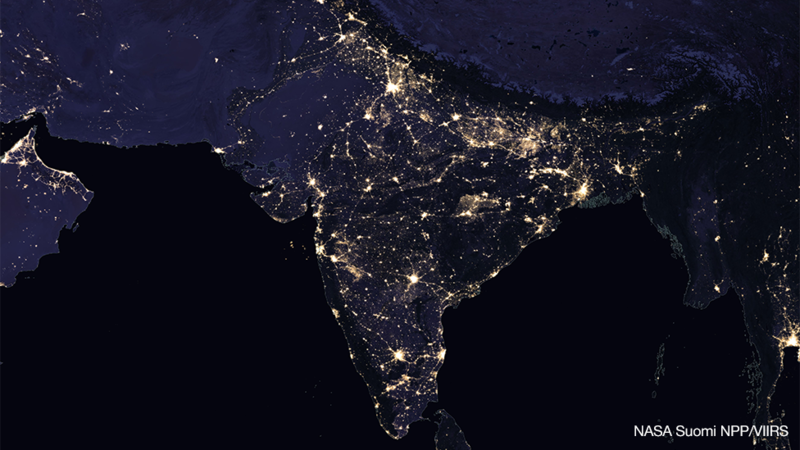 He and his colleagues had expected to see a decrease in brightness in wealthy cities and industrial areas as they switched from the orange glow of sodium lights to more energy-efficient LEDs; the light sensor on the satellite is not able to measure the bluer part of the spectrum of light that LEDs emit. "I expected that in wealthy countries - like the US, UK, and Germany - we'd see overall decreases in light, especially in brightly lit areas," he told BBC News. "Instead we see countries like the US staying the same and the UK and Germany becoming increasingly bright." Since the satellite sensor does not "see" the bluer light that humans can see, the increases in brightness that we experience will be even greater than what the researchers were able to measure. Prof Kevin Gaston from the University of Exeter told BBC News that humans were "imposing abnormal light regimes on ourselves". "You now struggle to find anywhere in Europe with a natural night sky - without that skyglow we're all familiar with." Prof Gaston added that he found the continuing increase in light pollution curious. "Usually," he explained, "when we think of how humanity messes with environment, it's a costly thing to fix or reverse. "For light, it's just a case of directing it where we need it and not wasting it where we don't." Dr Kyba said that we could make our urban areas much dimmer and not actually cause any problems for visibility. "Human vision relies on contrast, not the amount of light," he explained. "So by reducing contrast outdoors - avoiding glaring lamps - it is actually possible to have improved vision with less light. "That could mean big energy savings - but our data show that on a national and global scale, this is not the direction we are heading."